Lunder-Dineen has had a great start to 2016 and we're happy to share a selection of accomplishments in this inaugural quarterly eNewsletter. 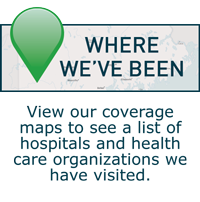 We hope you'll take a few minutes to read about our progress as we continue our mission to bring high quality educational opportunities to interdisciplinary health care teams throughout Maine. Click here if you'd like to let us know what you think. We are excited to share the 2015 Lunder-Dineen annual report with you. This report highlights our accomplishments to date and the value we have added to the delivery of health education in Maine. Click on the image above or visit: www.lunder-dineen.org/download-our-annual-report to learn more about our strategic priorities and programs. Oral health is a critical area of educational need throughout Maine. Many health care professionals have turned their attention towards the relationship between oral health and overall health, as poor oral health can be associated with systemic disease. 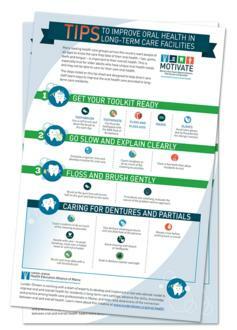 With the goal to help raise awareness of the connection between oral and overall health, Lunder-Dineen along with our team of subject matter experts on our MOTIVATE Pilot Advisory Team developed an Oral Health Tips Sheet. This resource poster is geared toward educating people of all ages that the care they take of their oral health – lips, gums, teeth and tongue – is important to their overall health. This is especially true for older adults who have unique oral health needs and may not be able to care for their own oral health. The steps listed on this tips sheet are designed to help direct care providers learn ways to improve the oral health care provided to long-term care residents. Click here to download a copy. If you are interested in having a copy of this poster for your organization, please contact us at info@lunderdineen.org. Following the success of our Fall pilot program, Lunder-Dineen has fine-tuned the Maine Nursing Preceptor Education Program, which will re-launch this spring. Registration opened mid-February to experienced direct patient care staff nurses in Maine who are or will be assuming the preceptor role. 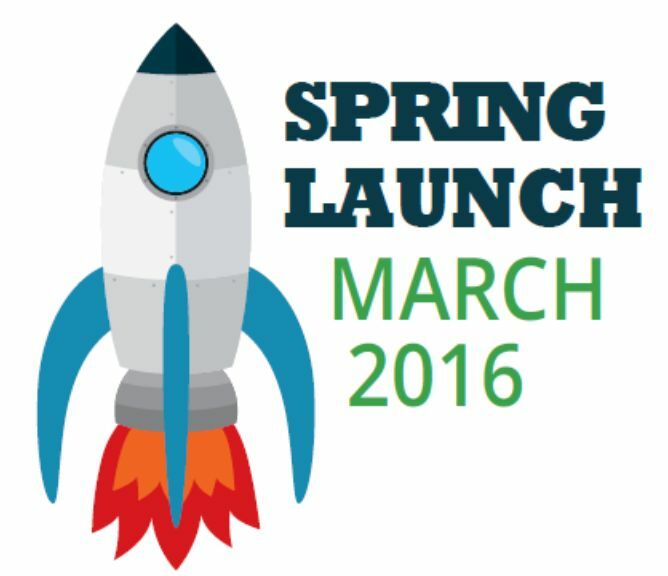 To date, 200 nurses have enrolled in the Spring pilot program, which will begin March 30th. The program will culminate with live workshops at Husson University on May 12th and the University of New England on May 18th. Participants will use the skills gained from the online course work utilizing a flipped-classroom methodology during an interactive day-long workshop. A new built-in requirement of participation for the Spring included the completion of a needs assessment survey by the participating organization's Chief Nursing Officer or Director of Nursing. This valuable information will help to further guide our work as we collaborate with Maine health care organizations to promote retention, satisfaction, and sustainability of the nursing workforce in Maine. We look forward to working with a new group of talented nurses from across the state of Maine. Lunder-Dineen celebrates the contributions made by Maine’s social workers, which number just over 5,000 of the 600,000 total in the U.S.
As the National Association of Social Workers (NASW) states, "They confront some of the most challenging issues facing individuals, families, communities and society and forge solutions that help people reach their full potential and make our nation a better place to live." The majority of social workers provide social work services to patients in health care settings and "social service industries." 3 out of 10 provide services to people in state and local government agencies. Social workers in Maine must participate in regular continuing education in order to maintain their licenses. We are pleased to make you aware of a timely online learning opportunity. Lunder-Dineen partnered with the Maine Chapter, Society for Social Work Leadership in Health in the fall of 2014 to record the speakers at their annual statewide ethics conference. These three on demand webinars have been approved by NASW for distance learning continuing education credit hours—3 in total. This content supports the many social workers in Maine who are completing their biannual license renewals, which includes a required ethics component. To learn more and take one of these three for credit programs visit: http://www.lunderdineen.org/take-course and look for the title: SOCIAL WORK ETHICS. Lunder-Dineen is pleased to share our contribution to this edition with a two-page article on pages 20 and 21. The article details our program and commitment to quality on-going professional education to empower and equip health care teams in Maine to provide the best care possible. 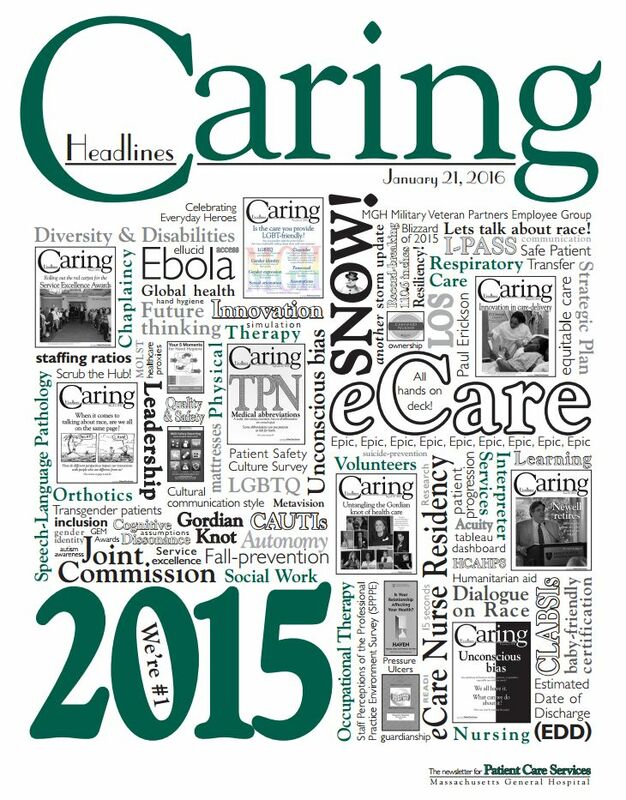 Click here to view the 2015 Annual report Edition of Mass General Patient Care Services' Caring Headlines on pages 20 and 21. We are most grateful to the Maine Health Access Foundation (MeHAF) for their recent philanthropic support of the ‪MOTIVATE‬ oral health education pilot program. Their partnership will help advance the MOTIVATE program. To learn more about MOTIVATE, please see our website. 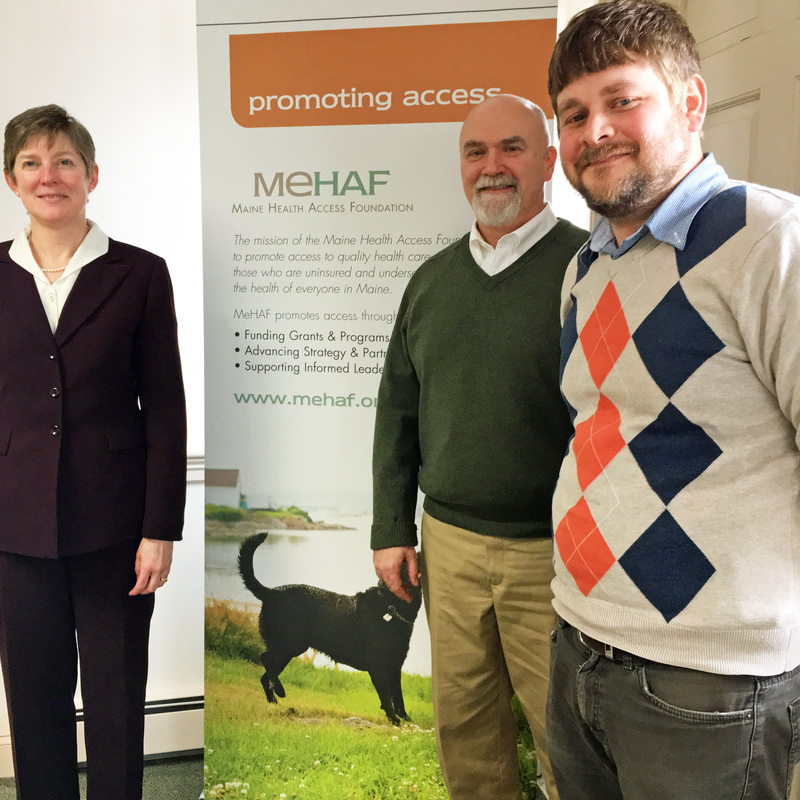 Pictured here from the MeHAF team are: Barbara Leonard, VP for Programs; Charles Dwyer, Program Officer and Jake Grindle, Program Associate. Learn more about MeHAF.